The California Wine Club guarantees every wine featured because they do what other wine clubs do not. Back in April, I recommended pink Prosecco as an ideal quaff to greet the season. Now that the dog days of August are here, I'm thinking this rose-colored sparkler makes an even better seasonal solution.  Pour Confidently With The California Wine Club The California Wine Club guarantees every wine featured because they do what other wine clubs do not. 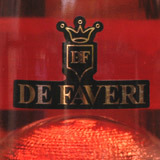  De Faveri Spumante Rosé Extra Dry ($15.99) Frothy and tart, just barely sweet, a light 11 percent alcohol makes it particularly inviting as an aperitif that won't knock you back on your heels. Daniel Rogov reports in from the Vinoble wine fair in Jerez de la Frontera, and WineLovers Discussion Group members post "confessions" about our recent wine-buying excesses. Back in April, I recommended a sparkling pink Prosecco, a fun and frothy Italian sparkling wine, as an ideal quaff to greet the season. Now that the dog days of August are here, I've come to realize that this offbeat rose-colored sparkler makes an even better solution for those steamy evenings when you need a salad for dinner because even with air-conditioning, you really don't want to see a flame on top of the stove. Like the Cantine Riondo "Pink" Prosecco Raboso featured on April 11, today's featured wine - De Faveri Spumante Rosé Extra Dry - adds just a 2 percent splash of red Raboso grapes to add a zippy tang and pretty salmon pink color to the wine. Although it's made by De Faveri, a well-regarded Prosecco producer, this label bears no regional designation - not even "Italy" - likely the result of an unauthorized mix of out-of-the region vineyard sources. Never mind that ... the wine clearly says Prosecco, and the shot of red juice confers not only a pleasing color but, perhaps, a refreshing shot of light bitterness in the finish. Relatively quaffable at 11 percent alcohol, its gentle sweetness (16 grams per liter, for the technically inclined) is nicely balanced by crisp acidity (5,80 gr/l) to yield a frothy, palate-cleansing wine that's in no way cloying. You'll find my tasting notes below. FOOD MATCH: Fine as an aperitif, delicious with cool summer dinner salads, and - like other frothy, crisp and barely sweet wines - surprisingly good with spicy cuisine, such as my choice, Cajun-style shrimp and chicken gumbo. VALUE: Although you can find Prosecco for less, the enjoyable flavors and crisp freshness of this fruity sparkler left me with no buyer's remorse over this mid-teens price. WHEN TO DRINK: Freshness is a virtue, and since the wine is non-vintage, it's best to look for it at trusted merchants with good turnover. The U.S. importer, Specialty Wine Co. of Sandusky, Ohio, may also be able to provide information about regional distributors. Jerez de la Frontera recently hosted the annual Vinoble wine fair, and Tel Aviv-based critic Daniel Rogov - who we're proud to welcome as our latest WineLoversPage.com contributor - was there and files this report.  WineLovers Discussion Group: Confession is good ... What have you bought lately? There's no getting around it. We love wine, and sometimes we buy more and spend more than we should. This busy topic in The WineLovers Discussion Group invites your wine "confessions."